Uranus (URAC) ICO: Not First But Best? Leave a Comment on Uranus (URAC) ICO: Not First But Best? Uranus propose a new version of cloud computing. Though it is stated that “Uranus is not doing a cloud computing project. We are doing a computing resource sharing platform by using fog/edge computing technology, that can efficiently and seamlessly connect and use the computing power around you”. As it is noted, “cloud computing takes too long to process its computing power sharing. Some high edge computing field cannot be satisfied”. It is fully centralized and controlled by large data centers. And what is more important – unsecure (with data security risk), with expensive and unfriendly billing model and unfit for distributed applications. Uranus offers efficient means of acquiring computing power for end-users via a public chain and fog/edge technology. It aggregates the redundant and idle computing power in IoT computing devices and other sources and then redistributes that power to users who require it. Uranus is not first project that is aimed at that fields – cloud computing, IoT and redundant computing resources. There are some startups with the same target: rrchain.network project, Hyper Network Project, Ankr Network Project. There are some differences between them, most– in favor of Uranus. Uranus has a wide range of sources of computing power. Uranus’s computing power, ubiquitous computing power, mobile computing power, and data center redundancy are these sources. The application ecology of the Uranus project applies not only to general-purpose computing application requirements, but also to specific scenarios. Generally, computing terminals that are currently ubiquitous, such as corporate and personal computers, and traditional physical servers, have not been fully utilized. The average utilization rate is currently less than 15% and below. Unused computing resources in the global market will exceed $4 trillion. Uranus builds an ecosystem consisting of thousands of computing power-sharing and computing users, empowers redundant computing power, and provides a computing resource platform that is not limited to public clouds and is especially suitable for distributed computing. It has microservice architecture that can improve the fault tolerance of the components and the node’s Scale-out capability. Uranus proposes the DPOS+BFT (DPOS is Delegated Proof of Stake and BFT – Byzantine fault tolerance) hybrid consensus algorithm. This avoids the over-concentration of verifiers, lacks the weaknesses of the economic penalties for violators and avoids the unfairness. Uranus project’s technical advantages are mainly reflected in: Support basic public chain and out-of-chain service expansion; Distributed computing container and resource isolation technology; Machine learning-based automatic container scheduling system; Ubiquitous Container Mirroring Market and App Store. Applied Ecology (Public Chain Service as ChainChain as a Service)- One-click deployment; Container Mirroring Supermarkets and App Stores. Platform. Compulsion users: Objects that consume and use computing resources from the Uranus Force Platform. Platform ecosystem collaborators: Uranus count based on shared power platform ecosystem application developers, Eco Business Model Collaborators. Since Uranus is a public blockchain, it has a mining mechanism to stimulate the contributors to provide the computing power. The users need to use the token in order to obtain the computing power. The difficulty will increase significantly with more mining. Therefore the contributor will be rewarded by the users by paying its computing power service on Uranus. This is needed if the contributor is less rewarded by the mining mechanism. Hardcap and token price are pegged in ETH. There are five phases of implementation roadmap suggested. Uranus shows 11 investors on its official site. Among them Icodrops and BGOGO by the way. But ChainTED Capital is the only exclusive participant involved into the seed round. ChainTED have done the whole package of advisory service such as legal issue, networking, marketing and community development for different regions and countries, token sale process, post marketing strategy, online and offline roadshow, AMA and meetup, airdrop and bounty design etc. Most of the cost and expense will be paid by ChainTED Capital and the token lockup will be the same duration as the Uranus team. As for others – it is stated “we are already oversubscribed. A lot of VCs in China and Korea are seriously interested to invest into this project”. Uranus Foundation LTD. was established in Singapore in March 2018. It is “the leader and driver of the universal ubiquitous redundant force sharing business model”. The mission of the foundation is to empower social redundancy through blockchain technology, thereby driving redundant maneuvering services and the transmission of value, creating enormous economic and social benefits. It is stated that the team is committed to the global ubiquitous computing power sharing market construction and ecological development. 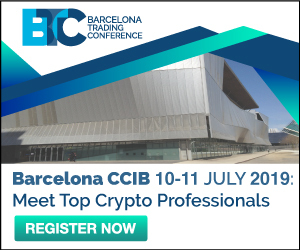 It consists of a cloud computing and blockchain experts with a global perspective. Executive team members have a deep theoretical foundation in this field and an average of 20 years of practical experience. They have successfully established more than one company and their products have entered China’s top 20 companies. Chief Executive James Jiang – is Master of Mathematics, Texas State University / Master of Operational Research, Nanjing University of Science and Technology; Senior Researcher at Bell Northern Research, USA, owning six US invention patents; Established ZTE’s subsidiary Shenzhen ZTE Integrated Telecom Ltd./ Shenzhen ZTE Mobile Telecom Co. Ltd and serving as General Manager and Board Chairman; Vice President of a subsidiary of VIA Group, and Assistant to the President of the Group; Established an enterprise-level desktop cloud company, leading the Chinese market. The technology development team has completed the development and commercial delivery of many major projects over the years. Chief Container Expert, Dr. Liang Sheng – Master of Computer Science, the University of Science and Technology of China; Ph.D. in Computer Science, Yale University; CTO of Citrix CloudStack in 2011-2014; Founder & CEO of CloudStack, acquired by Citrix in July 2011; SEVEN Networks VPE; Software Engineering Director of OPENWARE; Founder and CTO of Teros Networks; Staff Engineer of Sun Microsystems Inc and a main contributor to java virtual machines. The consultant team is composed of world-class technical experts, senior practitioners of digital economy, and media leaders in this field, providing further guarantees for the success of the project. 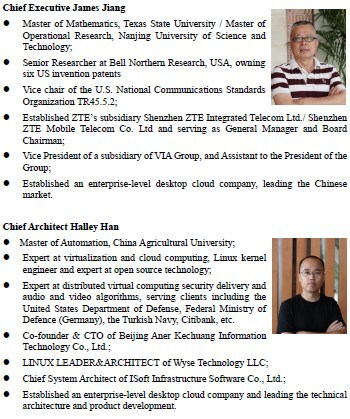 Chief Cloud Computing Advisor Zhang Haining – Master of Computer Science, Simon Fraser University, Canada; Expert at cloud computing and blockchain technology; Founder of Harbor enterprise-level container image warehouse; Technical expert at open source PaaS cloud platform Cloud Foundry; A contributor of super account book projects; An author of “Blockchain Guide”; Ever worked as a senior architect of IBM Smart Cloud and a senior solution architect of Sun Microsystems. Right idea– this is confirmed by several other attempts. With good scientific base (due to the team structure). Impressive team with good background, training and experience. With regular structure. Impressive group of investors with reputation. It’s important too that beta will be launched soon. And the project has realistic and dynamic roadmap. Some energy will be added to its hype with the bounty program. It is completed in Telegram but still lasts in Twitter, FB, Reddit, Bitcointalk. The Whitepaper and official site are in two languages – English and Korean – it is well known that Korean exchanges are very popular. Seems URAC will not have problems with listing.